If you know what a “swag bag” is then you must be a promotional events planner. For those who don’t know, a swag bag is that collection of goodies you typically receive when you attend a conference, trade show, special event, or charity fundraiser. The term SWAG is actually an acronym for “Something We All Get”. A major transit system that wanted to put together a welcome bag for college students returning back to school. The bag contained granola bars, microwave popcorn, and energy drinks, just to name a few items. Another large bank included Silly Putty in their swag bags. . . we never asked why they were giving away Silly Putty! What makes BuyTheCase.net so popular with promotional event planners? We have thousands of products to choose from, we provide fast and reliable delivery, and we offer business account discounts. For your convenience we have put together a shopping list with some great products for your swag bag. My dream is that someday, items from BuyTheCase.net will be included in the grand daddy of all swag bags – the ones that get handed out at the Oscars. 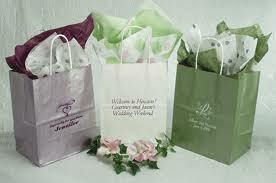 In recent years, these bags have included one of a kind jewelry and other luxuries worth tens of thousands dollars. I believe I’ll go check with my buyers right now and see if we can get a deal on caviar! This entry was posted in promotional companies, swag bags, Uncategorized and tagged 100 grand, bulk shopping, Buy The Case, buythecase, BuyTheCase.net, deals, groceries, Grocery, Oscars, promotional company, Sale, sales, savings, silly putty, Special Offers, swag, swag bags, warehouse shopping. Bookmark the permalink.